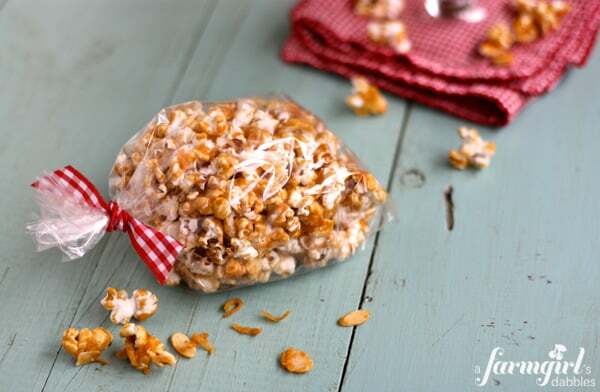 I knew I wanted to jazz up my favorite caramel corn recipe, to make an extra special treat for the weekend. So I picked up a few Valentine’s Day themed goodies to mix in and drizzle over it, adding pretty red and pink fun. But then, at the very last minute, I ditched the whole concept. I put the holiday candies and sprinkles away and pulled out cinnamon, coconut, and almonds. Because that’s what I was reeeeeeeeeally craving. Sometimes when a plan falls through, it’s just meant to be. This Cinnamon Caramel Corn with Coconut and Almonds is true testimony. It’s flavored beautifully with the added warmth of cinnamon. And the yummy tidbits of shredded coconut and sliced almonds, all sweet and crunchy from being baked with a coating of caramel, is undeniably wonderful. 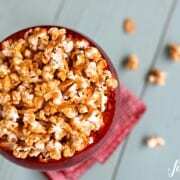 This batch of caramel popcorn was just the perfect “Plan B” to my jazzed up caramel corn plan. 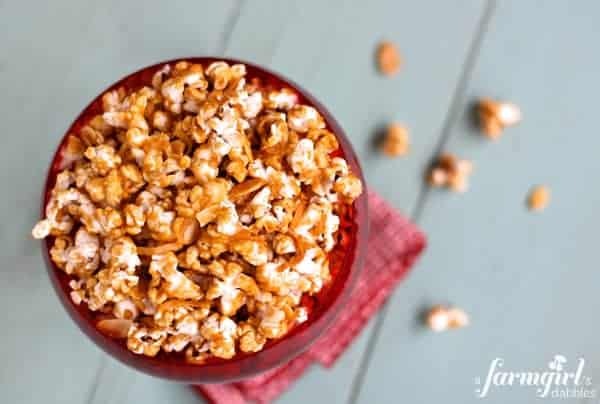 If you’re looking to gift a sweet homemade treat to someone special for Valentine’s Day, this caramel popcorn would be an excellent choice. Bag it, tie it up with a pretty red ribbon, and add a Valentine’s Day sentiment…really, what could be sweeter?! I also have another special treat for you today. A giveaway from Catching Fireflies, just in time for Valentine’s Day! Catching Fireflies has all kinds of good stuff in their shop. 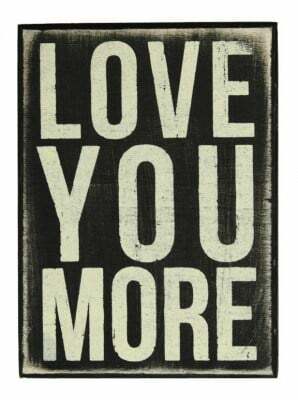 You’ll find great hostess gifts, inspirational home decor, unique kitchen gadgets and gifts, and so much more. 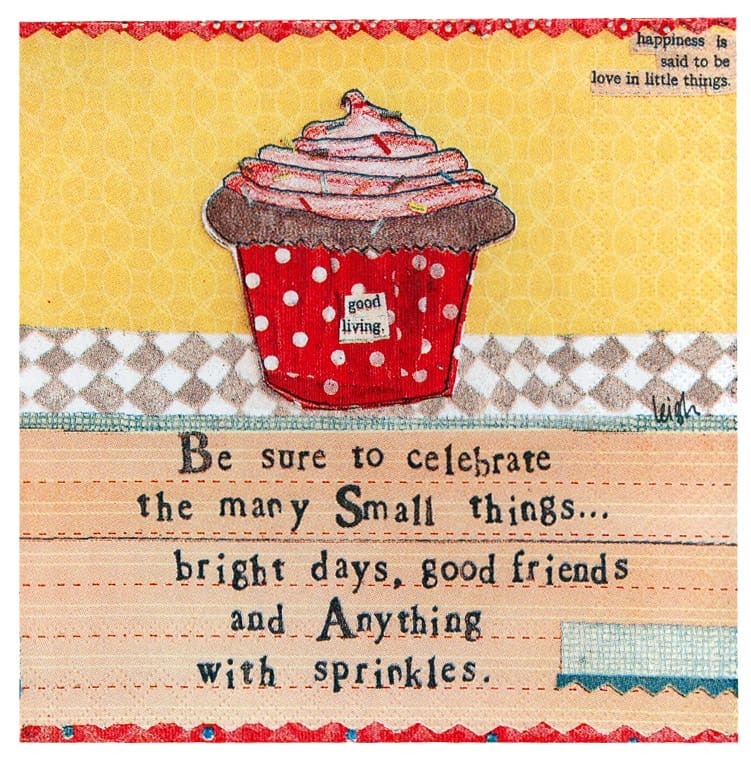 I’ve always adored the lighthearted inspiration behind Curly Girl Design (above), and you’ll find a nice assortment of items here. Full of whimsy and wit, Curly Girl fits in perfectly with everything else Catching Fireflies has to offer. I have aimed to be more intentional about being thankful every day, for every circumstance. Catching Fireflies sent this Gratitude Journal to me, and now I’m getting it all down in ink, in the pages of this very lovely book. Catching Fireflies is offering one $53 gift certificate to their shop. Yay! And…they are offering 20% off all purchases, good for the entire month of February (2013)! This giveaway is open to US residents 18 years and older. Giveaway will end on Saturday, February 2nd at 12:00 am, CST. One winner will be chosen at random and then notified by email. Winner will have 48 hours to respond and claim their prize, or another winner will be selected. A farmgirl’s dabbles and Catching Fireflies are not responsible for lost or undelivered emails. 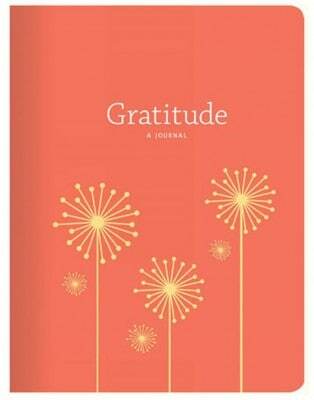 Disclosure: Thank you to Catching Fireflies for the beautiful Gratitude Journal and “Love You More” art, and the gift certificate for this giveaway. All text and opinions are 100% my own. 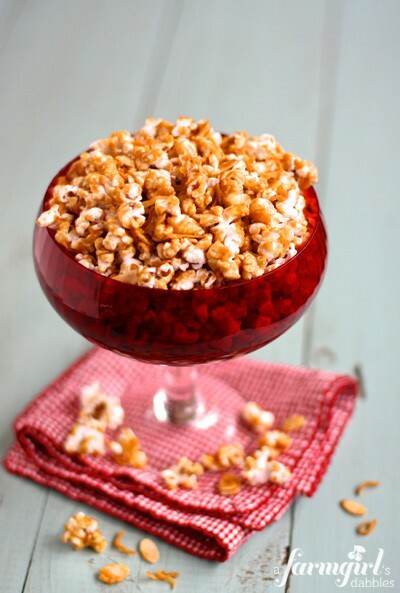 And here’s that jazzed up caramel corn recipe for you! Spread freshly popped corn in two large, shallow sheet pans with sides. Place in the oven to keep warm and crisp. Combine butter, brown sugar, corn syrup, and salt in a 2-quart heavy saucepan. Place on medium heat, stirring until sugar dissolves. Continue to boil to the firm ball stage (248°). Remove from heat and stir in cinnamon and the optional cinnamon extract. I like the very natural cinnamon flavor attained from only using the ground cinnamon, but do as you want. Then stir in baking soda. Syrup will foam. Take popped corn from oven and sprinkle evenly with coconut and almonds. Pour hot caramel mixture over popcorn, in a fine stream. Stir to mix well. Return to oven for 45 minutes, stirring and scraping up caramel from pan bottom every 15 minutes. Cool and serve or store in an airtight container for up to a week. Adapted from my favorite caramel corn recipe.